IT’S ONE THING to have a love for literature. It’s another thing to bring that love to other people by publishing books – and in a world where creativity is not always rewarded, it’s another thing again to start your own publishing house in the Ireland of today. But Tramp Press, which was set up by Sarah Davis-Goff and Lisa Coen in 2013 and published its first book in 2014ir, is proving that with a combination of experience, attitude, and open-mindedness, it is possible. It has been a massive year for Tramp, whose book Solar Bones by Mike McCormack (the pair say they “bit the hands off” him to get to publish it) recently won the prestigious Goldsmiths Award. On the other side of the coin – and yet not too far away from Tramp in many ways – is Gill Books, one of Ireland’s best-known non-fiction publishers, which has seen a change in focus being rewarded with one of its biggest-ever years. With the Bord Gáis Energy Irish Book Awards due to take place on Wednesday, TheJournal.ie talked to these two publishers about what has contributed to their recent success, and how they plan on making it stick. For Gill, 2015 was perhaps its best year ever, and came after a period of change for the publishing house. Formerly known as Gill and MacMillan – the company was set up by Michael Gill in 1968 – in 2013 Gill bought out the McMillan shareholding to go fully independent. It also neatly split itself into three: Gill Education, Gill Distribution and Gill Books. The seeds for the division were sown in large part when Gill Books director Nicki Howard was on maternity leave. Thinking like a customer made her “come away with the feeling we were so much better than perhaps we were acting”. The company sat down and used workshops and a strategic review to reassess what Gill was and what it wanted to be. This all built up to a massive 2015 for Gill Books. “Last year was once in a lifetime,” says Howard, looking back. Successes included three Irish Book Awards, including one for the massively successful Jim McGuinness book, and Irelandopedia, by Fatti and John Burke, which was a first for Gill in getting into children’s books. For Howard, it’s “very important to recognise that last year was a mammoth year for us”. As for challenges, Howard says it’s realising your strengths as an Irish publisher – and not losing sight of them when you break into other countries. 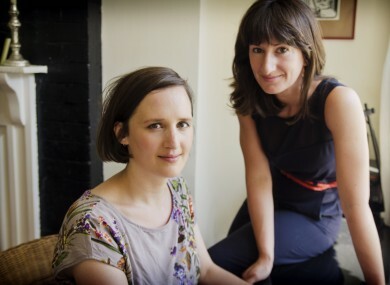 Lisa Coen and Sarah Davis-Goff were both working in Lilliput Press in Stoneybatter when they decided, almost on a whim, to start their own press. With plenty of experience between them in the industry, they knew exactly what they wanted their own publishing company to be. They were inspired by Ireland’s many former and current small presses, like Arlen House and Attic Press. That Davis-Goff had rescued Donal Ryan’s debut short story collection from a slush pile just before Tramp was set up helped to show that these were women who really knew their stuff. The way they approached Tramp Press was not as a business, “because on paper it doesn’t work”, explains Coen. You have to view publishing, particularly literary fiction, as an artistic endeavour and the company has to behave like an arts organisation and not so much like a business. While they do have commercial concerns, they don’t allow these to dictate what they publish. Instead, what they decided to do was frontload with arts funding and then “work really, really hard” at publicising their books. They receive funding through the title-by-title scheme run by the council, meaning they have to make a case for each title individually and then the money can only go into the production of the title. Any commercial success goes into Tramp’s overheads and means the two women can pay themselves. The pair are huge supporters of the Arts Council’s approach, but say that the Irish government “really, really need to shape up” when it comes to financially supporting the arts. “We really need an Arts Department, a dedicated Arts Department,” says Davis-Goff. The fact that Irish authors achieve success without huge amounts of funding doesn’t mean that funding should be taken for granted, adds Coen. It just means the government thinks that’s great, they can do it on a shoestring – but actually there are artificial subsidies nobody knows about – families help you out, we’re all doing nixers, everybody in the arts has at least two jobs. Adds Davis-Goff: “We couldn’t have started up without the support of our families, and not everybody has that.” Coen even cashed in a pension to help start Tramp. For starters, they wanted a name that suggested an outsider and something that was a bit glib. They liked Tramp’s connotation with John Millington Synge, who would often feature a tramp character in his work. It’s also, says Davis-Goff, “just fun to re-appropriate words that have been used to silence women”. They’ve had nearly 1600 submissions to Tramp Press so far, and put away a day a week to plough through them. “I really enjoy it – you never know what you’re going to find,” says Davis-Goff, who estimates that about one in 20 submissions is put aside for further reading. There’s a lot of really good stuff out there - we’re looking for the stuff we literally can’t sleep over. The ironic thing about starting up Tramp Press, given its name’s connotations, is that the underdog story didn’t haunt them from day one. “We were definitely going to play with this underdog narrative, but everyone was incredibly supportive,” smiles Coen. Which brings us to the Irish Book Awards, which takes place this Wednesday and in which Tramp Press and Gill Books both have been nominated. The Bord Gáis Energy Irish Book Awards sprang out of the Hughes and Hughes novel of the year award, which began in 2000, explains Bert Wright of the awards. We are putting Irish books firmly in the shop window for the last quarter of the year. It can be expensive for smaller presses to be involved in the awards, and there have been discussions about how to ease the burden on them, says Wright. In one sense its boom times but at the same time a lot of bookshops have closed, a lot of small independent presses have folded, but if you’re fluctuating between doom and gloom it’s not a gloomy period for Irish books, it’s a very good period. It’s amazing to know that an award nomination will bring readers, but it’s also validation of their own work, says Davis-Goff. “I had that sense of ‘oh my God this could really be something’,” adds Coen of their first successes. Their debut book, Flight by Oona Frawley, was one of the first manuscripts that landed in their inbox. It was written six years before it was published, and put away in a drawer after bad experiences with publishers – one of whom wanted the main character, who is black, to change nationality. “Even if the only thing we accomplished was putting out this great book that hadn’t been elsewhere, that would have been enough,” says Davis-Goff now. Both credit Irish readers with being open-minded to unusual, weird or quirky literature. “I think as soon as you start to put readers into certain boxes and start trying to figure out what kind of books will suit those readers, you’ve kind of lost already,” says Davis-Goff. Irish readers are like no other readers in the world, they are smart, interested, they have a great community. The Bord Gáis Energy Irish Book Awards takes place on Wednesday 16 November at the DoubleTree Hilton in Dublin. To find out more about the awards, visit the official website. Email “"Irish readers are like no others in the world": How these homegrown publishers are making waves”. Feedback on “"Irish readers are like no others in the world": How these homegrown publishers are making waves”.